SubSeal® can be used at floor-to-wall, wall-to-wall, and wall-to-ceiling joints, at drains and protrusions, and at all perimeters. The membrane bonds to the substrate while creating a new surface to accommodate A118.4 or better latex mortars, organic adhesives, and solvent-free epoxy setting materials. 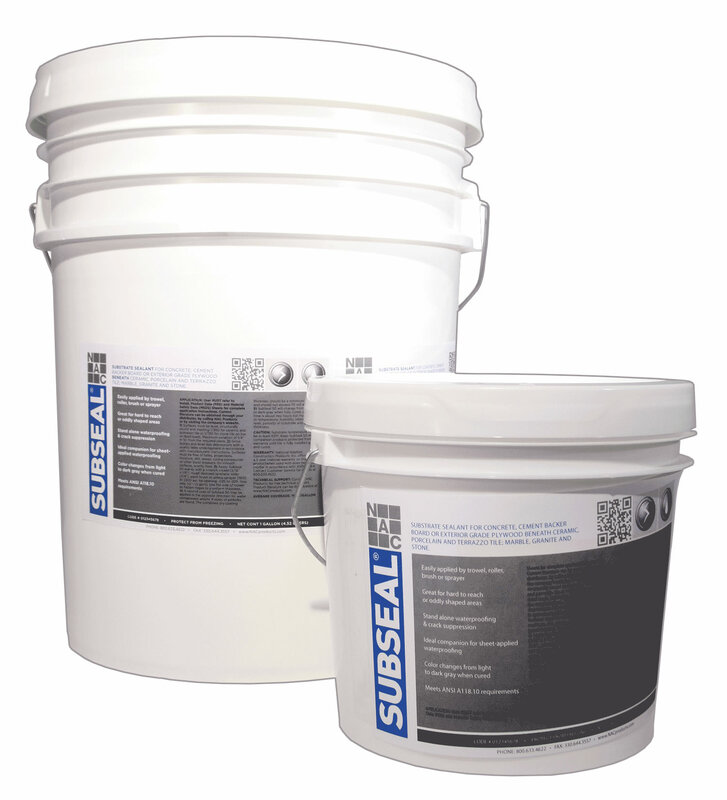 SubSeal® may be installed over concrete or wood substrates and over some existing hard-surface flooring. 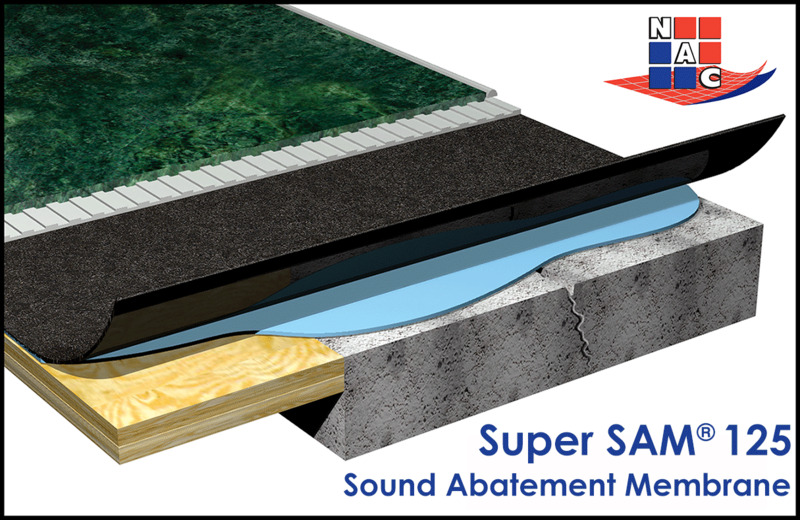 SubSeal® may be installed under stone, ceramic or porcelain tile, wood, or other hard-surface flooring. 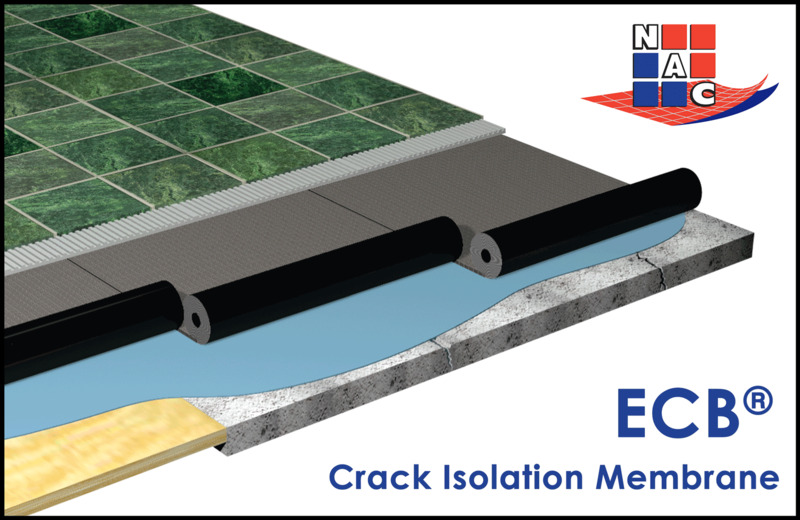 Suitable for interior and exterior use, the thin, low-profile membrane offers superior flexibility when cured. It protects against reflective cracking and delamination, ensures waterproof integrity of corners and seams, and is an effective barrier against mold. Two thin applications are recommended; approximately two hours cure time between coats. It allows same-day tile installation, and flood testing in less than 24 hours. Easily applied with trowel, roller, brush, or sprayer, SubSeal® is perfect for areas such as, food courts, restaurants, balconies, decks, commercial kitchens, showers, lavatories, spa areas, parking decks, laundry rooms, and other areas needing above-grade waterproof protection. An efficient project manager should also know how to manage documents and contracts. What does he or she need to know? Construction claims are becoming increasingly prevalent and expensive, and many are delay- or impact-related. This article, the third in a four-part series, delves into how the project manager can reduce claims by mitigating delays and monitoring project risk. The construction project manager wears many hats, and one may be that of expert witness. As a project manager, the goal is to determine time and cost, not fault. This article, the first in a four-part series, will give design/construction professionals an overview of what a project manager must do as the project progresses. Building information modeling (BIM) is a dynamic tool to assist all contract parties in better coordinating each and every phase of construction.